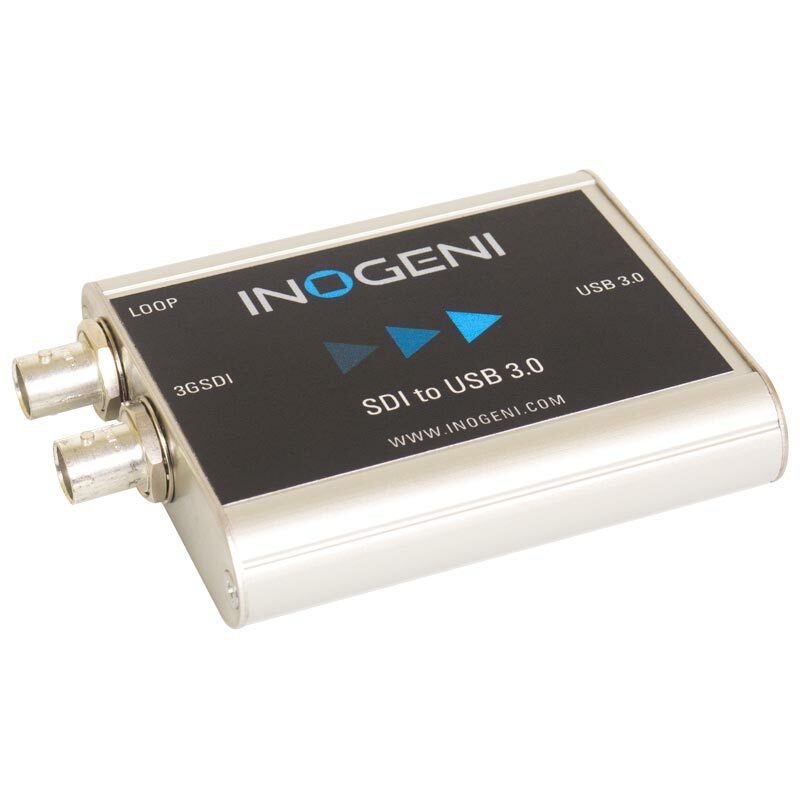 The INOGENI 3G-SDI to USB 3.0 Converter is the most easy and reliable tool to capture uncompressed SDI video with embedded audio for your PC for recording, editing, video conferencing and streaming applications. No driver installation is necessary and will work on all motherboards and USB 3.0 chipsets. 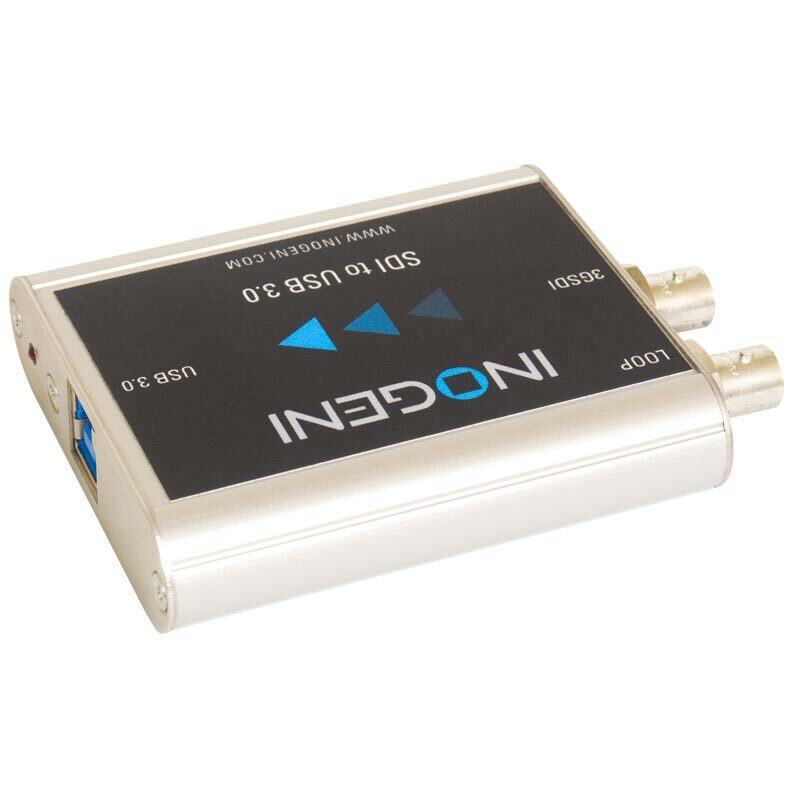 It features a 3G-SDI input with active loop output, supports SD / HDTV video formats up to 1080p60. Compact in size and powered directly from a USB 3.0 port, the converter is a practical easy-to-use USB 3.0 capture solution. It is compatible with Windows, Mac OSX, Linux, and Android operating systems, UVC-compliant, so it will work with all DirectShow compatible software. The converter supports 1080p resolutions up to 60 fps. All SD / HD resolution signals are converted to 4:2:2 8-bit colour space over USB 3.0. The embedded audio in your SDI signal is extracted and output as two-channel LPCM. A USB 3.0 cable comes included. Holdan Limited has signed a Europe-wide distribution agreement with Inogeni, a Canadian manufacturer of USB video converters and processors. With the agreement, convergence between AV, IT and broadcast technology becomes a reality. Corrected field merging issue (1080i => 1080p) where the output is squeezed at the top of the capture window.